The Ravens lost key members of its defense to free agency — Za’Darius Smith, Eric Weddle, C.J. Mosley and Terrell Suggs, to name a few — but one of their best players will be now have a chance to retire in Baltimore. 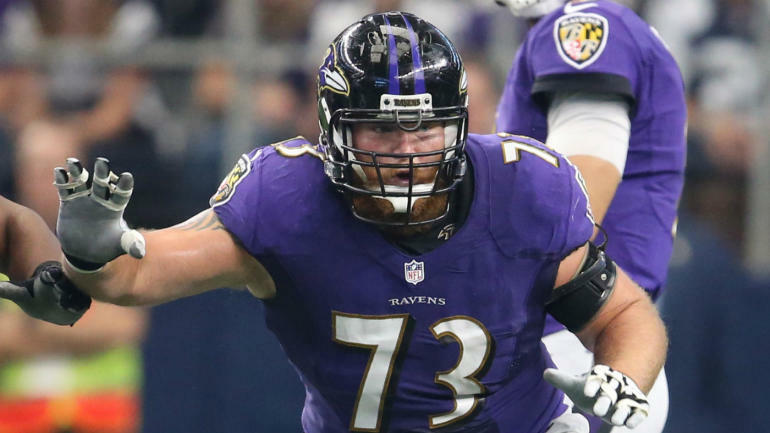 Right guard Marshal Yanda, who was entering the final year of a four-year deal, has agreed to play through the 2020 season, reports ESPN’s Adam Schefter. Yanda, a 2007 third-round pick, is one of the best offensive linemen in football. There was some speculation that he was contemplating retirement this offseason, but now it appears he’ll spend the next two seasons in Baltimore, where he has been a seven-time Pro Bowler and twice been named All-Pro. In 2018, Yanda graded out as the No. 4 guard in the NFL, according to Pro Football Focus. He excels as a run blocker, and played an important role in the Ravens’ run-heavy attack with quarterback Lamar Jackson last season. The offense averaged 141.9 yards per game, which was second in the league. Yanda’s return also means the Ravens can focus their draft needs elsewhere; pass rusher is near the top of the list, and there’s still a need to upgrade the center position — and N.C. State’s Garrett Bradbury could be an option at No. 22. But finding offensive balance could mean Baltimore now turns its attention to a wide receiver. In our latest mock draft, we have the Ravens taking Ole Miss’ D.K. Metcalf, who blazed a 4.33 40-yard dash at the combine and plays like a combination of Josh Gordon and Terrell Owens.